In one of the few tender moments in the classic Spaghetti Western The Good, the Bad and the Ugly, Clint Eastwood’s hard-bitten, unnamed bounty hunter comforts a dying Confederate soldier. Having covered the young man with his coat, the Man With No Name takes the soldier’s poncho, which becomes an iconic prop in the rest of Eastwood’s “Dollar” Westerns with director Sergio Leone. Unlike the poncho shed by the “Magic Mama”—a Woman With No Name—in Frank Zappa’s song, “Camarillo Brillo,” the authenticity of Eastwood’s poncho is never questioned on screen. Yet folks still dispute who brought the poncho to the movie set. 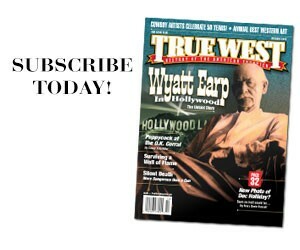 Eastwood contends he bought the poncho, his hat and other wardrobe essentials in California before shooting the movies in Italy and Spain. 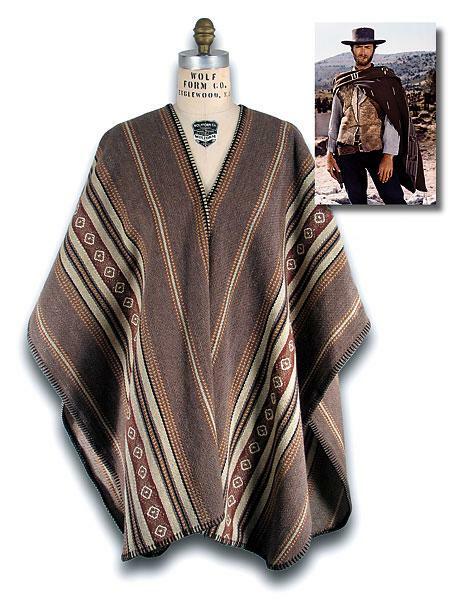 Others associated with the film claim the poncho was acquired in Spain. Ponchos themselves, however, have an unambiguous genesis. 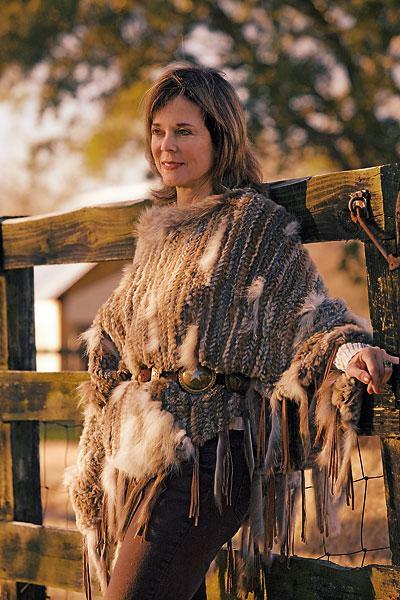 They are the outerwear traditionally worn by the indigenous Mapuche people in Chile and western Argentina. Spanish conquistadores brought the design to Mexico, probably more for its functionality than its style. 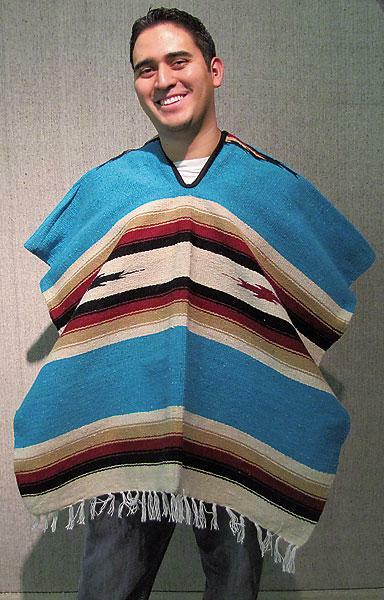 Traditionally woven from llama and alpaca hair, a poncho consists of a square or rectangular piece of cloth with a hole in the middle for the head. This concept is seen in some form on nearly every continent. 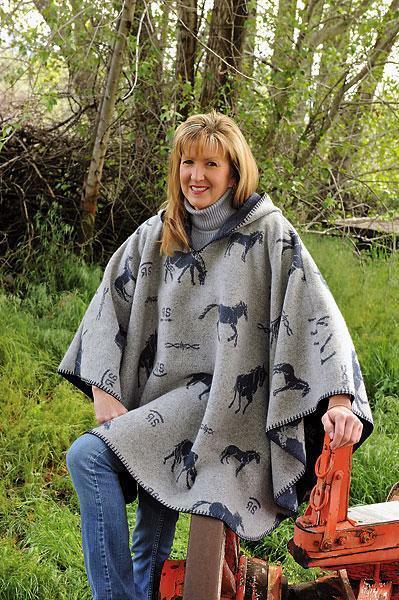 The poncho has slipped in and out of fashion periodically since the late 1800s. It reached its greatest popularity as a hippie garment in the late 1960s, undoubtedly nudged along by its star turn in Eastwood’s movies. By 1973, ponchos were getting tossed into the backs of closets and a hippie chick’s “rancid” poncho was fodder for Zappa’s acerbic wit. 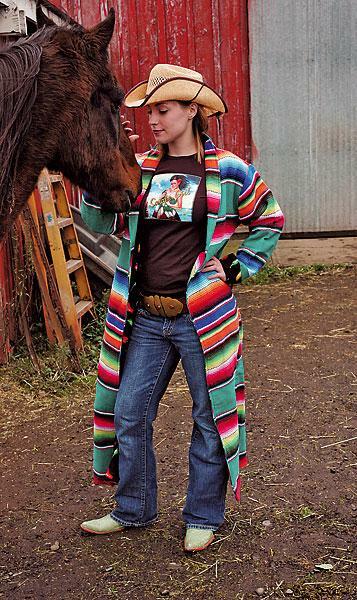 The other garment closely associated with Mexican culture is the serape, which is essentially a blanket—usually striped and gaily colored—worn over one shoulder, or across the shoulders, much like a shawl. 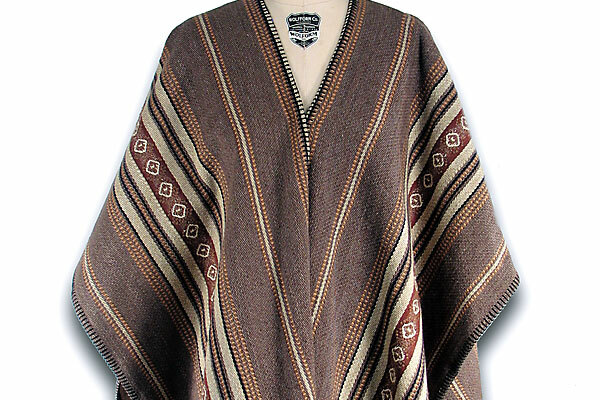 Ponchos and serapes are staples in Southwest and Santa Fe wardrobes, but are important trends in mainstream fashion these days. If you don’t have either buried in your closet, you can probably find one in apparel shops this fall. 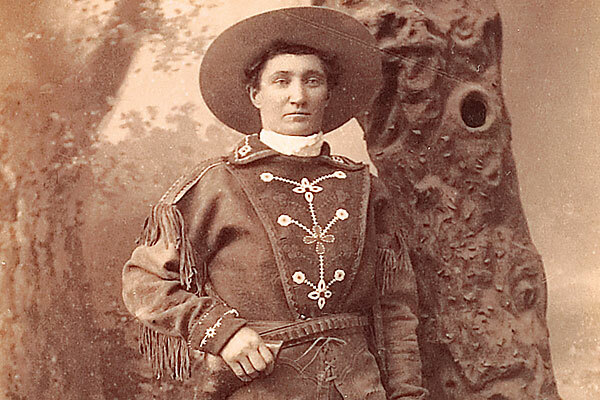 G. Daniel DeWeese coauthored the book Western Shirts: A Classic American Fashion (Gibbs Smith, 2004). Ranch-raised near the Black Hills in South Dakota, Dan has written about Western apparel and riding equipment for more than 25 years. Serapes began as masculine attire, with the Mexican serape serving as a common garment worn by people of all lifestyles; woven serapes were traditionally worn by the lower classes, while cotton and dyes were considered luxury garments. 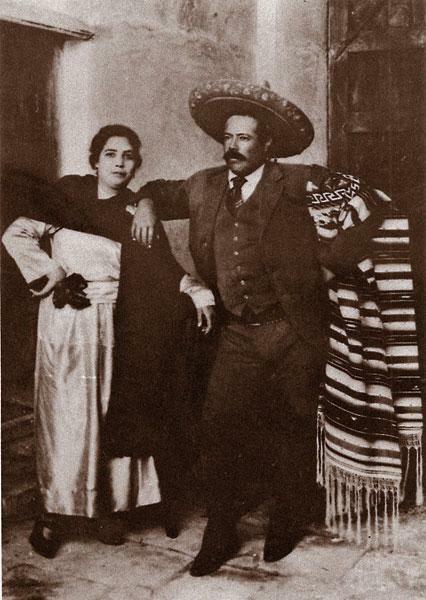 Even the Mexican Revolution general Pancho Villa (above, with his wife) wore one. 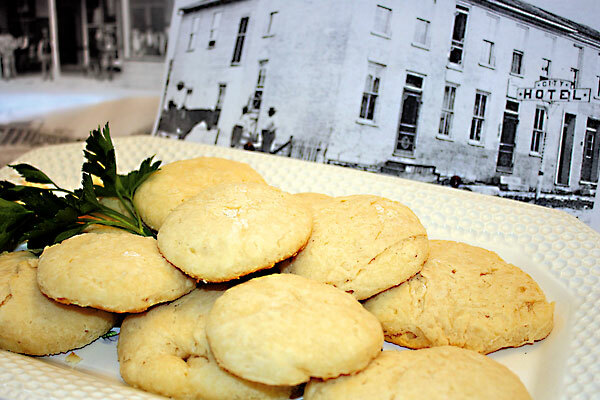 Bed and Biscuit A Santa Fe Trail tavern still serves delicious meals today. 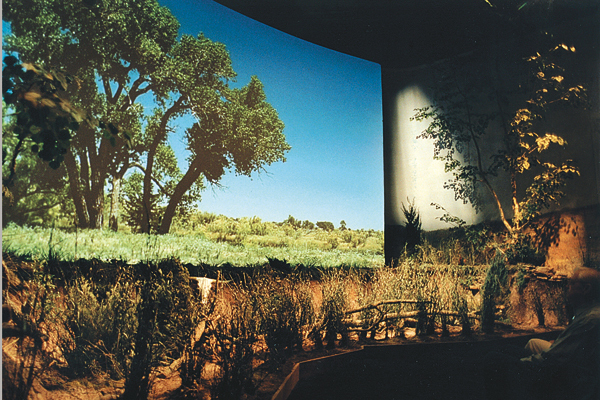 High Desert Museum Mingling nature and the history of the intermountain West.